The iPhrothiya yeGolide - Golden Protea, post-nominal letters PG, was instituted by the President of the Republic of South Africa on 16 April 2003 and came into effect on 27 April 2003. It can be awarded to all ranks who have distinguished themselves by exceptional leadership or exceptional meritorious service and the utmost devotion to duty. It is South Africa's highest existing military decoration for meritorious conduct. The iPhrothiya yeGolide - Golden Protea, post-nominal letters PG, was instituted by the President on 16 April 2003 and came into effect on 27 April 2003, to replace the Southern Cross Decoration (SD) and Pro Merito Decoration (PMD). The bilingual title of the decoration is in isiZulu and English. The decoraion can be awarded to all ranks of the South African National Defence Force and of any Auxiliary Service of the SANDF, and of any Armed Forces attached to or serving with or rendering any service to the SANDF, who have distinguished themselves by exceptional leadership or exceptional meritorious service and the utmost devotion to duty. The decoration is the senior of a set of three military decorations for merit, along with the iPhrothiya yeSiliva - Silver Protea and the iPhrothiya yeBhronzi - Bronze Protea. A bar may be awarded for every subsequent action which would make recipients eligible for the award of the same decoration. The decoration and bar may be awarded posthumously. Guidelines consisting of appropriate phrases which may be useful when writing a citation for the award of the iPhrothiya yeGolide - Golden Protea have been published by the South African Defence Department. More than usual, exceptional, unique. Service of vital importance/permanent significance for the SANDF. Positive effect in the organisation. Visible and measurable results at a national or interdepartmental level. Preceded by the Gold Decoration for Merit (GDM) of the Azanian People's Liberation Army. 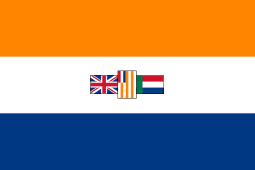 Succeeded by the Van Riebeeck Medal (VRM) of the Republic of South Africa. 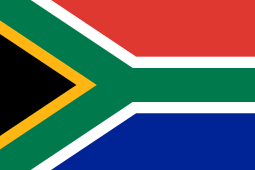 Succeeded by the Star of South Africa, Officer (OSSA) of the Republic of South Africa. The iPhrothiya yeGolide - Golden Protea is a six-pointed star, struck in silver-gilt and displaying a stylised protea, South Africa's national flower, on a blue hexagon in the centre. The reverse bears, in relief, the Coat of arms of South Africa. The decoration is attached to a plain silver-gilt suspender, affixed to the upper point of the star. The medal number is stamped or engraved below the Coat of Arms. The ribbon is 32 millimetres wide and national flag blue with, in the centre, a 2 millimetres wide gold band, a 2 millimetres wide black band and a 2 millimetres wide gold band. The bar for subsequent conferments of the iPhrothiya yeGolide - Golden Protea is 33 millimetres in length and 5 millimetres wide, struck in silver-gilt and embossed in the centre with a silhouette replica of the decoration. When only a ribbon bar is worn, a button silhouette replica of the decoration, 8 millimetres in diameter and struck in silver-gilt, is affixed to the ribbon bar. Award of the decoration for service in active military operations is indicated by distinguishing insignia, which indicate the arm of the service in which the recipient was serving at the time of the action for which the decoration was conferred. The insignia are struck in silver-gilt and is worn on the ribbon, above any bars which may have been awarded. Crossed swords for the South African Army. 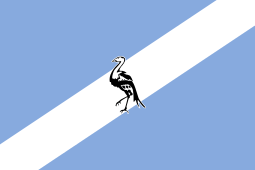 An eagle for the South African Air Force. An Anchor for the South African Navy. The Rod of Aesculapius for the South African Military Health Service. In respect of those recipients about whom it is available, the actions they were cited for follow below the table, since inclusion in the table itself is impractical. Note 1: † denotes a posthumous award. 1 2 Battle of Bangui – Awarded for actions during the Battle of Bangui in the Central African Republic from 22 to 24 March 2013. 1 2 3 4 5 6 Presidential Warrant by the President of the Republic of South Africa for the Institution of Honours for Meritorious Conduct in the South African National Defence Force, Gazette no. 25213 dated 25 July 2003.